Jigsaws are ideal for small workspaces, as they fit nicely in a hard carrying case that can be stored on a shelf or in a closet. Despite their small size, jigsaws can perform similar tasks that a larger band saw< would be used for, such as cutting plywood or pine boards. But the jigsaw has a major advantage: It can start cutting in the middle of a board (just drill a starting hole and then drop the blade in). Added features to expect from premium jigsaws include bevel adjustments, which allow you to cut at various angles, and orbital blade action, which moves the blade in a "D" pattern which is a more aggressive cutting action and useful on hardwoods. Jigsaws are available as corded or cordless tools. Nice! I just bought a jigsaw a couple of weeks ago. My experience, particularly with thin MDF/ply - Don't rush, let the blade do all the work and you should get a nice smooth cut. Thanks for sharing this article. It was a huge help for me since I am only a beginner in woodworking. 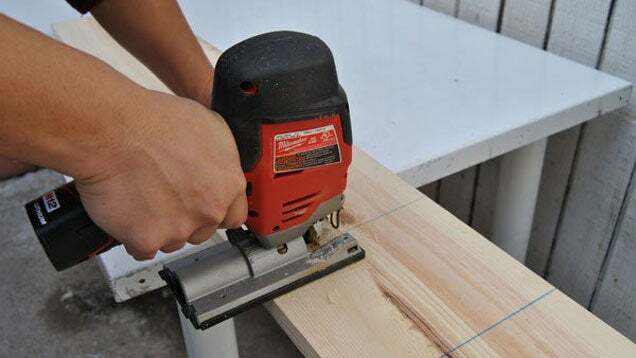 I always thought that jigsaws are hard to maneuver and hence, might destroy my work, but this article has opened my mind to using a jigsaw rather a handsaw. I really like having wood furniture in my house since it looks really pleasant. For those who are not into woodworking but wants quality made wood furnitures, they can contact joinery companies like www.readyfit.com.au.